We came home to our tomato plants full of ripe tomatoes. I've been taking them to work for lunch. 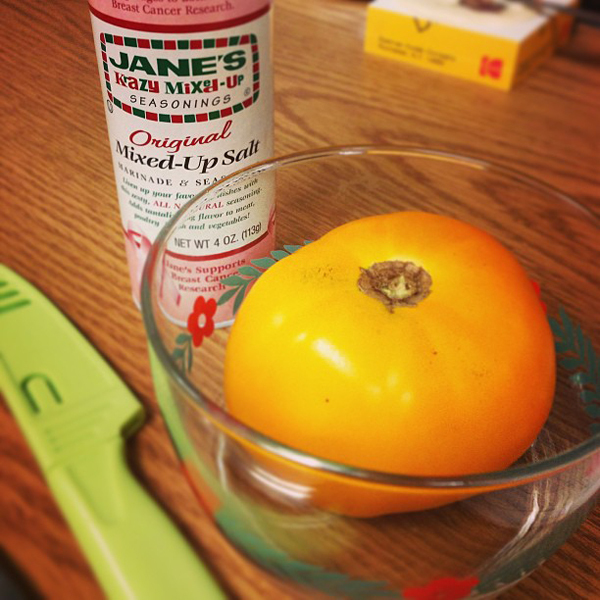 I just slice them up and sprinkle on a little Jane's Krazy Mixed-Up Salt. My grandparents always had this in their kitchen when I was growing up. I love that there really was a Jane and she was a little wacky! She lived in PA which is maybe why I had it so early on. Jane's has gone on to make other spices like Krazy Mixed-Up Lemon Peppper, Lime Pepper and lots more that I haven't even tried yet like Krazy Mixed-Up Toasted Sesame Seasoning. 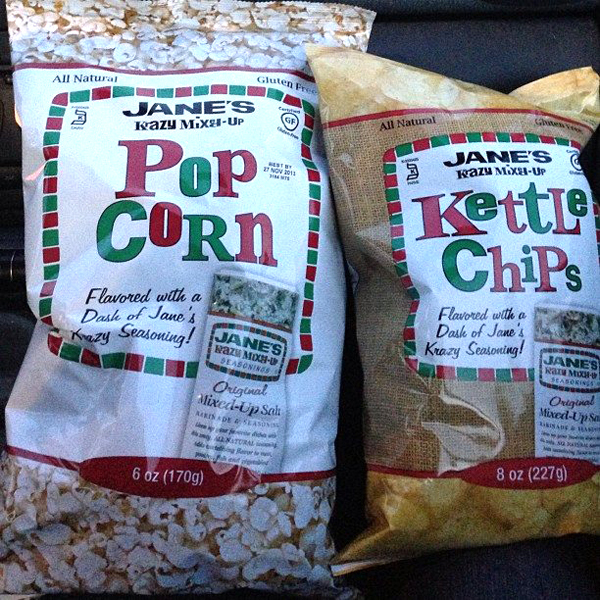 Just recently I discovered that they also have Jane's Krazy Mixed-Up Salt popcorn and potato chips! I'm dying to try them! UPDATE: I found them in Rochester. Pretty good!